New Delhi: Zimbabwe have announced their 16-member strong squad for the first two matches of the upcoming four-match home One Day series (ODI) against United Arab Emirates (UAE), starting April 10.Zimbabwe will play the series without their two seasoned players-- right-handed batsman and skipper Hamilton Masakadza and wicket-keeper Brendan Taylor. The skipper sustained a thumb injury while playing domestic cricket in February, while the latter hurt his hamstring playing in the Pakistan Super League (PSL). 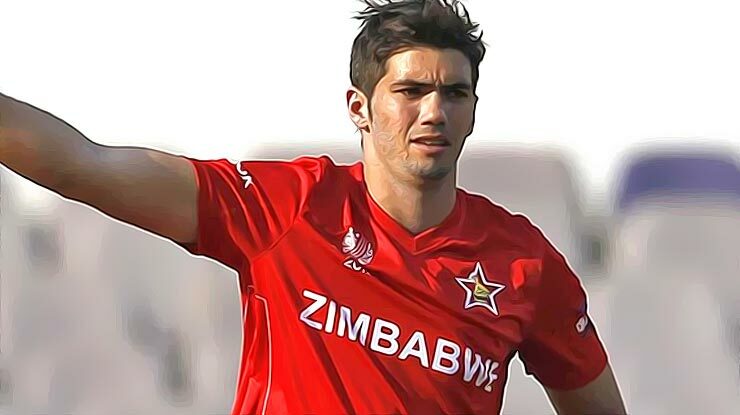 Vice-captain Peter Moor will lead the side in Masakadza's absence. In place of these experinced campaigners two new players have been included, Ainsley Ndlovu, a 23-year-old left-arm spinner, and Tony Munyonga, a 20-year-old off-spinning all-rounder. Timycen Naruma and Regis Chakabva have been called into the team after a long time. Naruma is a batsman and part-time leggie, who last represented his country in 2016, and has shot back to prominence in Zimbabwe domestic cricket. Chakabva made his international debut in 2008, and has recently established himself as their first-choice keeper in the longer format of the game. However, he has represented his national team in 34 ODIs in 12 years, the last of which came in 2015. With Taylor absent, he has won another opportunity. "The mood in the camp has been very positive," International Cricket Council (ICC) quoted stand-in captain Peter Moor as saying. "Our preparations have been good, the last two weeks we've done a very in-depth, thorough camp. The boys are gearing up nicely towards the series," he further added. He feels that every international series gives a little bit of pressure, but now their team are used to it and ready for the series. "With any international match there's always going to be a little bit of pressure, but I think the boys are embracing it and I think everybody is looking forward to the series. We've gone six months without an international fixture, so I think everybody is ready to go and looking forward to the challenge," Moor said. Zimbabwe and UAE will play four ODIs between 10-16 April, with all proceeds from the third ODI going towards Cyclone Idai relief efforts.